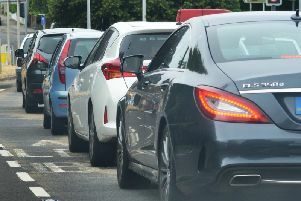 If you are travelling around Sussex today (Deceomber 1), here is a round up of all the latest traffic news. - Amended Gatwick Express service due to engineering work taking place between Purley and Three Bridges all weekend, closing various lines. Gatwick Express will operate a half hourly train service today. - Passengers are advised to check before they travel using the National Rail Enquiries real-time Journey Planner. - One lane is closed on the M23 in West Sussex this morning due to a broken down vehicle. Traffic reports say the hard shoulder has been closed. Slow traffic has been reported. - Congestion eastbound on the A270 New England Road in Brighton, near the A23 Beaconsfield Road (Preston Circus). - Slow traffic in Dyke Road, Brighton, around Old Shoreham Road. - The M23 spur road between Gatwick and J9 will be closed from 10pm tonight to 6am tomorrow, with a diversion in place. Only one lane will be open from J9 to the airport. Please allow extra time for your journey if you are catching an early flight.